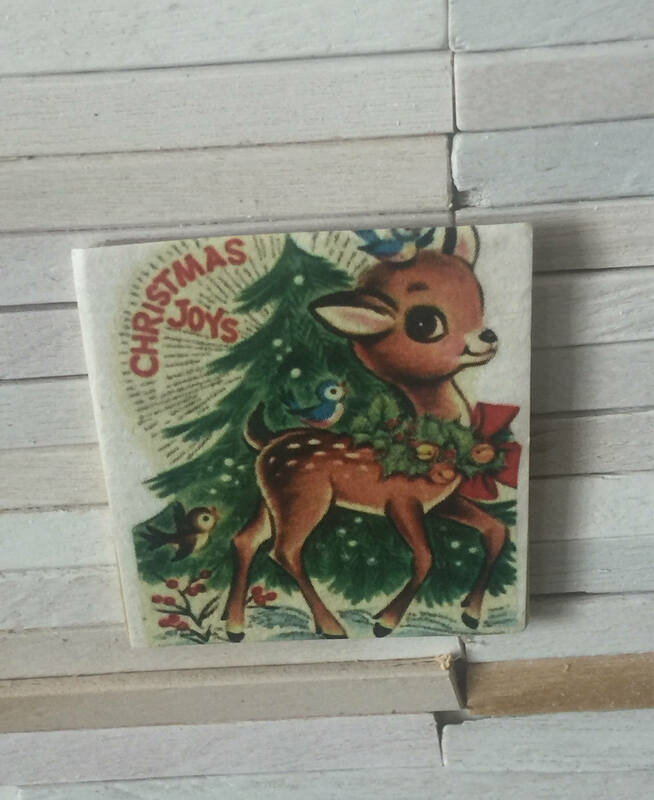 Miniature Vintage Look Christmas Reindeer Picture 1 1/4" x 1 1/4"
I love vintage looking Christmas pictures. 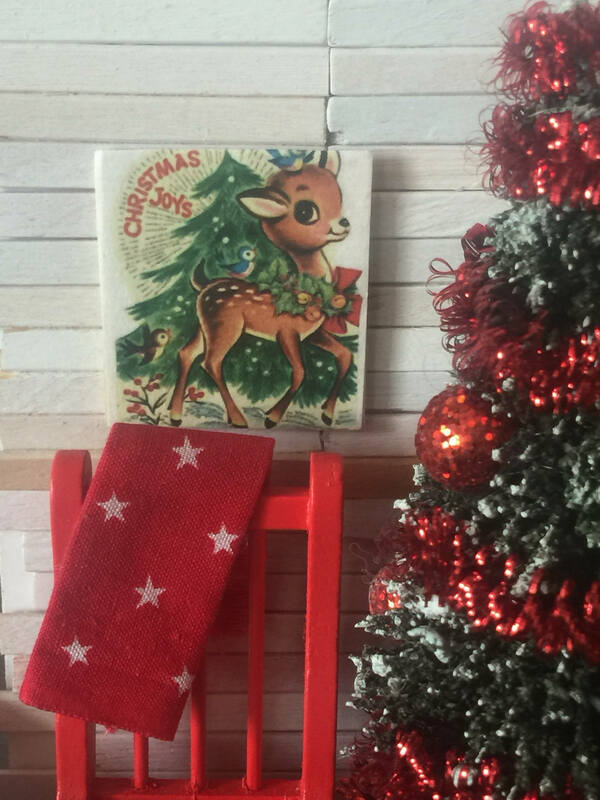 This sweet little reindeer is perfect for a small or dollhouse vignette. Measures about 1 1/4" x 1 1/4" and is mounted on a thin wood backing. It is lightweight and could easily be hung on wall with double sided tape. 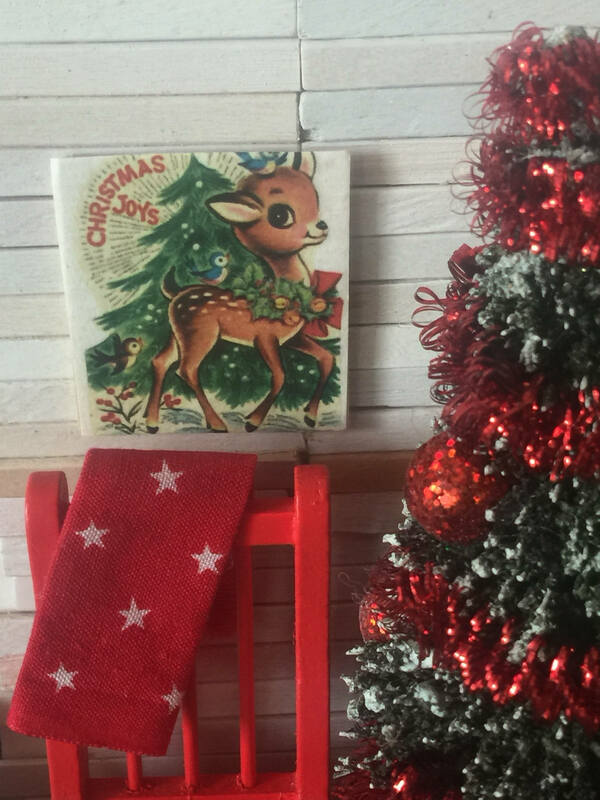 Used this in my miniature log cabin Christmas scene-and it added such a special touch. What a darling picture! I still need some more Christmas pictures and will def order from this shop again!